Per May 2016, 102 million people live in the Philippines, the world’s 12th most populous country – growing at an annual rate of 1.55%. 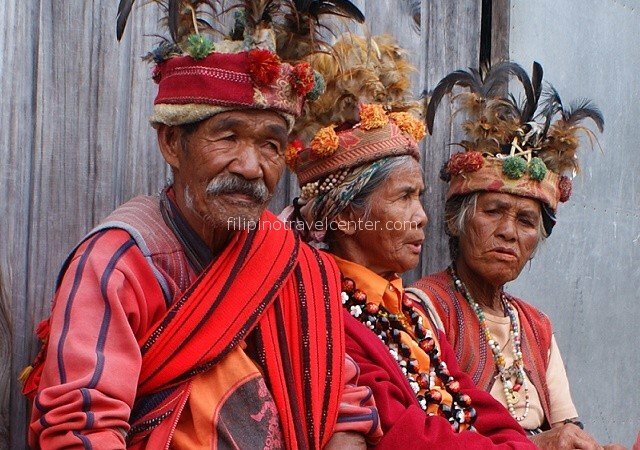 The country has around 60 ethnic minority groups, many of whom still practice local customs (such as the Ifugao of Mindoro and the T’Boli of Mindanao) and in their villages. 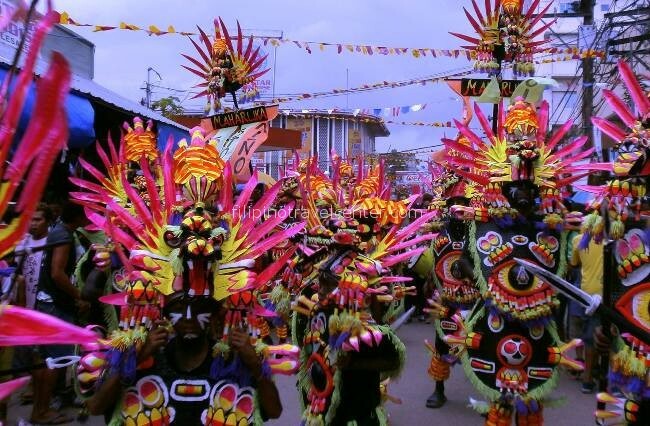 These customs vary considerably, meaning that each village maintains its individual, unique, character. 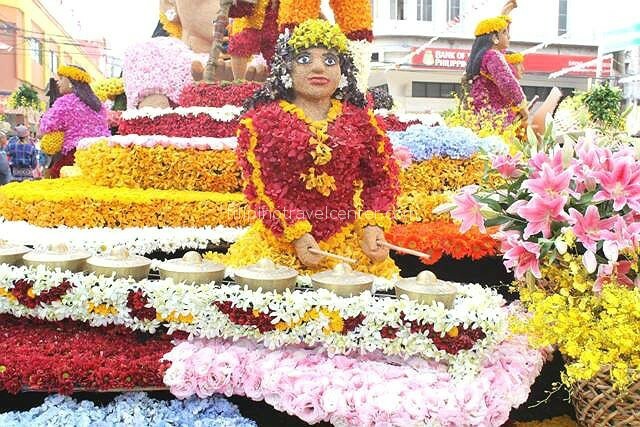 The country and its friendly, hospitable people are a unique blend of East and West thanks to the long history of Western colonial rule, combined with frequent visits by Eastern traders. Two thirds of the population make a living from fishing and agriculture. Although the Philippines is one of the largest sugar and rice producers in the world the country is increasingly moving towards a services and manufacturing economy. Approximately 10 million Filipinos work and live abroad and contribute around over US$20 billion to the economy (2014 statistics). The predominant religion is Roman Catholicism, the faith of around 80% of the population, with another 15% followers of the Muslim faith. Malay/Indonesian religious influences are also strong in the south. The Malacanang Palace, overlooking the Pasig River in Manila and dating from 1750, is the official residence, as well as principle workplace, of the President of the Philippines, currently Benigno Aquino III. Relatively isolated from the Asian mainland, the Philippine Archipelago is made up of 7,107 islands. 2000 island of which are inhabited and 2500 are so small, they aren’t even named. From North to West the Philippines stretches for 1850 kilometers, from East to West 1100 kilometers. Philippines has the fourth longest coastline in the world. At 36,289 kilometers you can explore hundreds of warm, tropical islands and find a beach all to yourself. 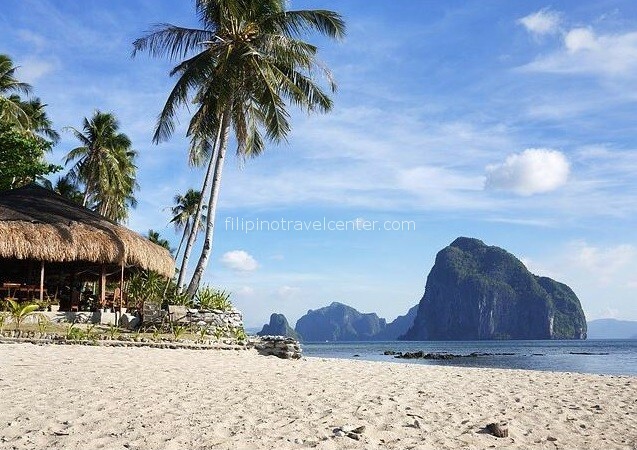 The Philippines is known for pristine white sandy beaches, turqouise blue seas with a gentle breeze, coconut trees casting quiet shadows and rainforests with rare plants and animals. The Philippines has 213 inactive and 20 active volcanoes, and is located on the appropriately names “Ring Of Fire”. Its terrain contrasts flat coastal plains with rugged mountain ranges dominating the interior. The largest peaks are Mt. Pulag (2.930 m) in the Cordillera Region, Mt. Apo in Mindanao and Mt. Isarog near Naga. Mount Apo, found on the island of Mindanao is the highest point in The Philippines, 2,954 meters . 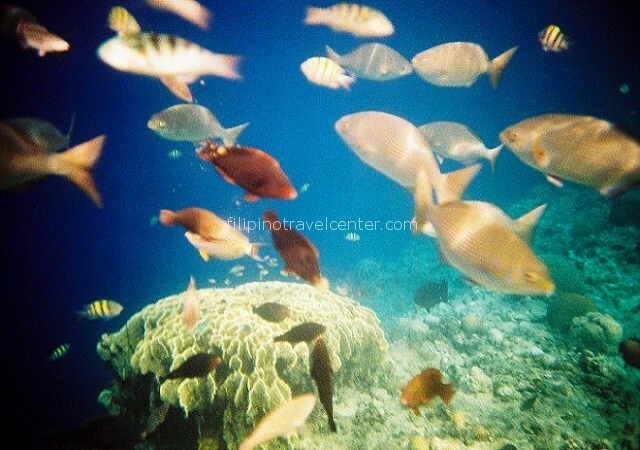 The Philippines is also home to abundant marine life in one of the oldest and deepest waters in the world, including the deepest waters in the world in the Philippine Trench. It runs to depths over 10,000 meters (over the height of Mt. Everest!) along the Pacific side of the islands. The Philippines has 36 National Parks waiting for you to discover; relatively large areas maintained to protect outstanding natural and scenic areas Mayon Volcano, Lake Danao and Apo Reef are examples. 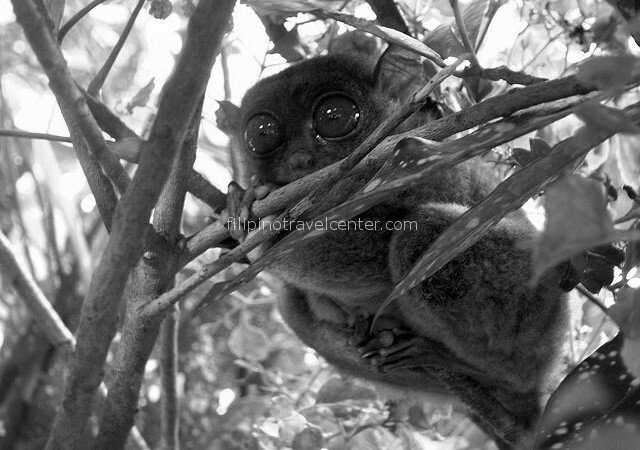 The Tarsier is the world’s oldest living primate, found in Bohol. 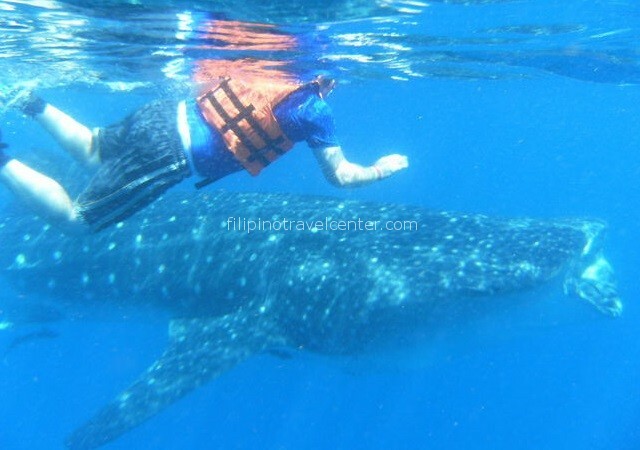 Divers love the Philippines! With over 7000 islands diving options are endless, with over 800 different species of coral to explore, as well as the world’s largest fish, the whale shark (known locally as “Butanding”). 20,000 of the 100,000 known varieties of shellfish in the world are within 40,000 square km of coral reefs in the Philippines. The Philippines has many climates, these vary between islands and occasionally within the same island. The coolest dry months are November to February when the temperature is around 25° Celsius. March-May are hot and sunny days of increasing humidity and temperatures of 30° Celsius and above. From June-October the prevailing southwesterly winds bring temperatures of 23-28° Celsius and often heavy rainfall, although these months often have perfect vacation weather too. Humidity levels are high, averaging 77%, all year round. Wear light, breathable clothes and comfortable shoes and a hat to protect you from the hot sun. Warm jackets are recommended for the higher, mountainous areas, especially at night. Although this is a fun loving country it is still very conservative and the wearing of appropriate clothing to formal occasions and when visiting places of worship is expected. 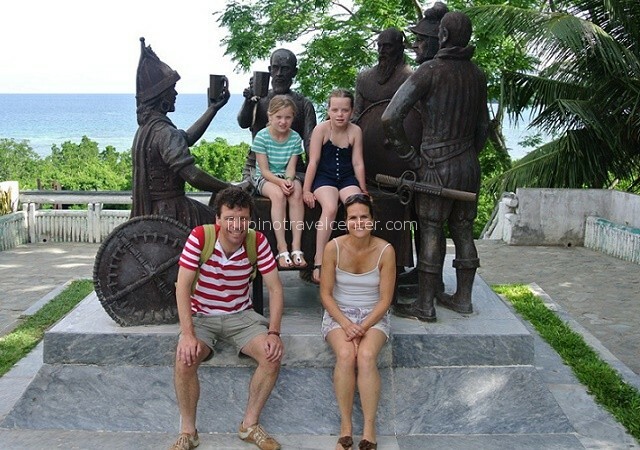 The Philippines has an amazing variety of attractions, this is the ultimate tourist destination if you are flexible, young at heart, and believe exploring is fun! The country is still remarkably free from mass tourism and its 7107(!) islands offer an incredible range of outdoor activities including superb diving, exploring numerous hidden bays, white beaches with exotic coconut trees and lots of island hopping opportunities. 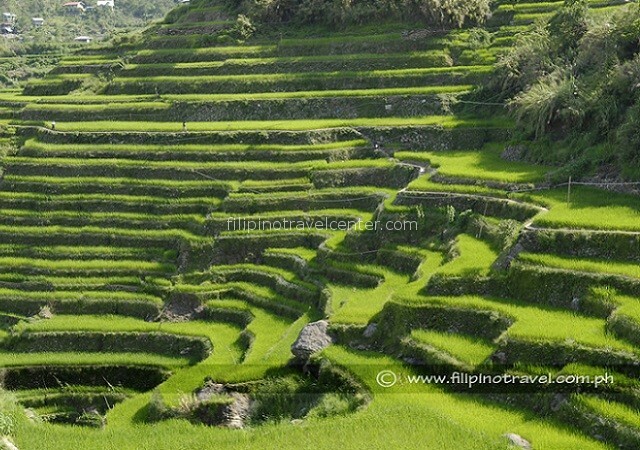 Please visit our Vacation Packages Philippines or ‘Sagada & Banaue Rice Terraces Information Page’ for information per destination. 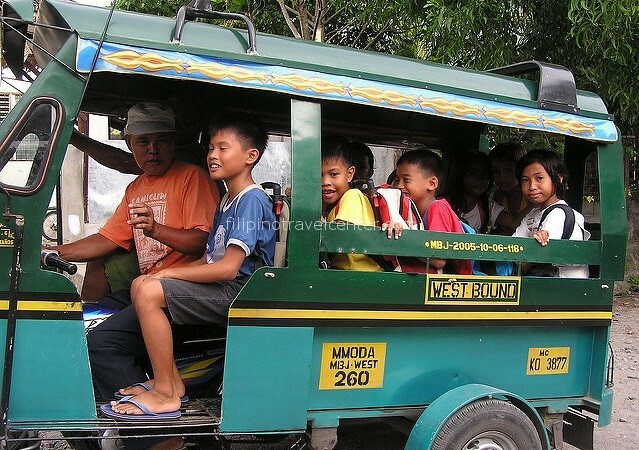 Public transportation in the Philippines is not as organised as in most countries and doesn’t always work to schedule! A network of land/air/ferry transportation is in the early stages of development and rail travel is limited in Luzon except for between San Fernando and Legaspi. 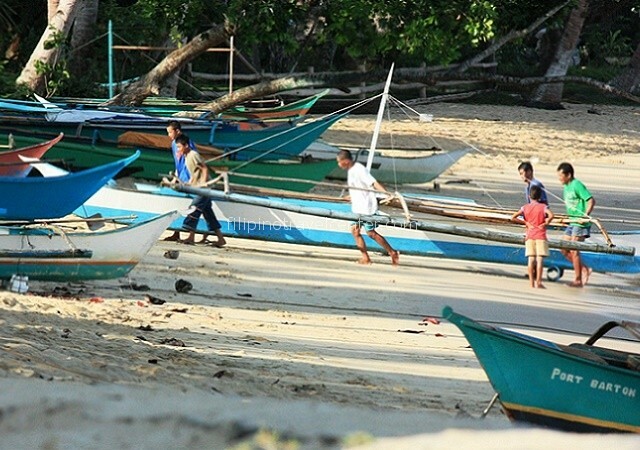 Fast ferries between islands are common in the Western Visayas region. 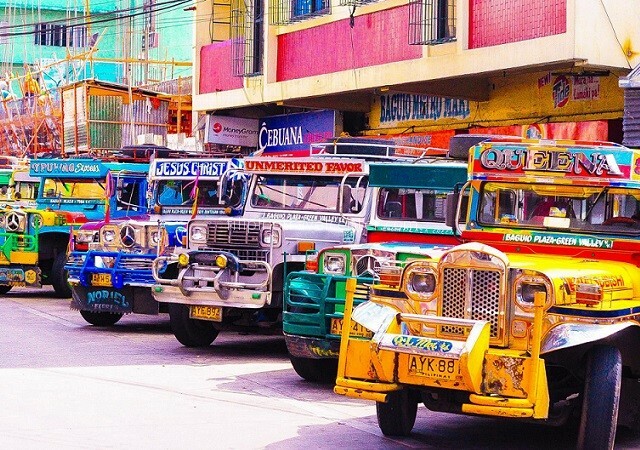 Land transportation is by cheap metered taxi, buses and/or jeepneys in and between the major cities. 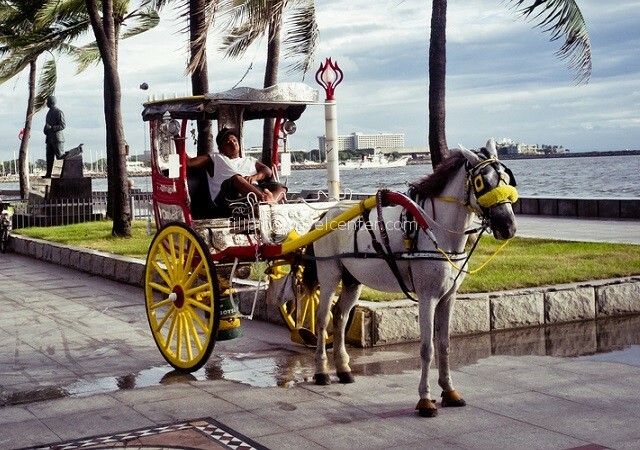 Out of the cities you will travels by “banca” (motorized outrigger boat), “pedicab” or a “tricyle” (motorcycle with sideseat). They depart when full rather than to a timed itinerary and are an interesting experience! For airlines flying domestically and related Frequently Asked Questions, please check out our link here: Domestic Airlines or FAQ . Not all destinations have daily flights and schedules often change. 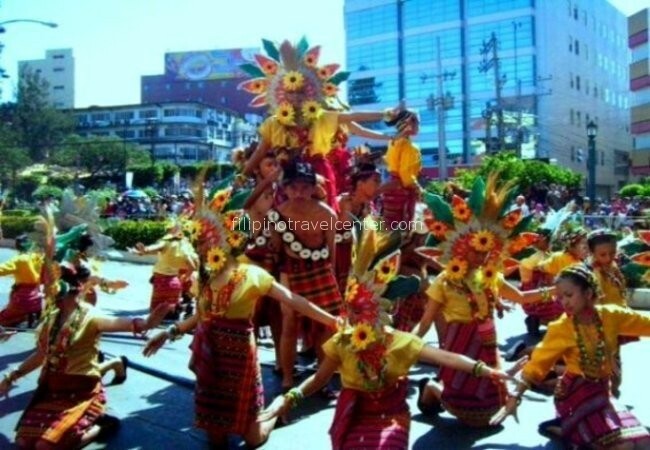 It is important to plan your trip well in advance, especially if travelling on peak season occasions such as Christmas, Chinese New Year, Easter and the April/May Philippines summer vacation. Walk into our Travel Centers and book any Domestic Airlines, 2Go and OceanJet Ferry Tickets plus Sikat Ferry going to Mindoro and Banaue Bus Tickets on the spot. 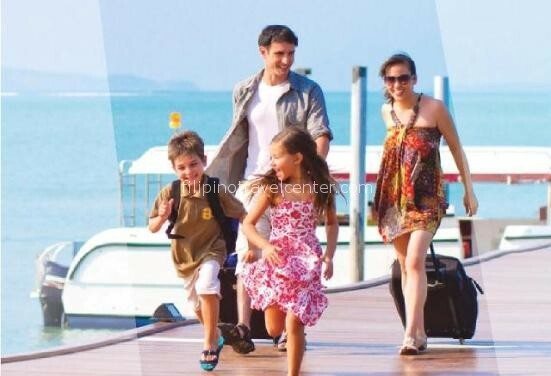 We do not offer this service online, unless it is part of a long haul itinerary you book with us. No immunization is obligatory for The Philippines. Yellow fever vaccination is required if you come from infected areas. 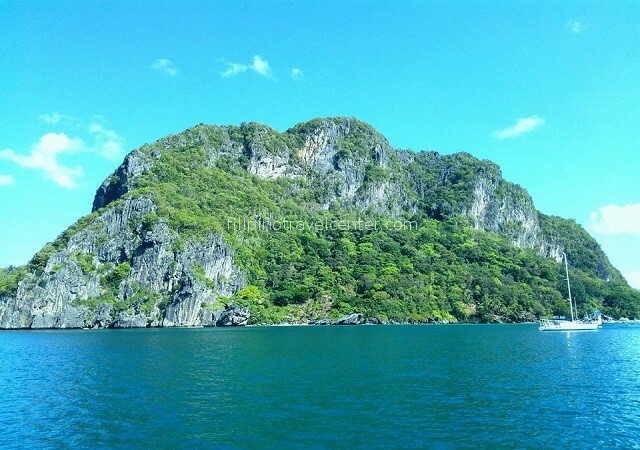 It is recommended only for a few isolated islands. All destinations in our tours are as far as we know malaria free. Hepatitis B is widely spread a vaccine therefore is recommended. Drink bottled water where you can but service water in the restaurants can be trusted too. Hepatitis A vaccine you can take if you want to be sure. In our opinion if staying in proper hotels and eating in a good restaurants the need of typhus vaccination is limited. You can ask your doctor at home. Usually they will prescribed all mentioned vaccines. Common pre departure preparations, like health insurance is our strong advice and a good medical kit incl. mosquito repellent are advised. 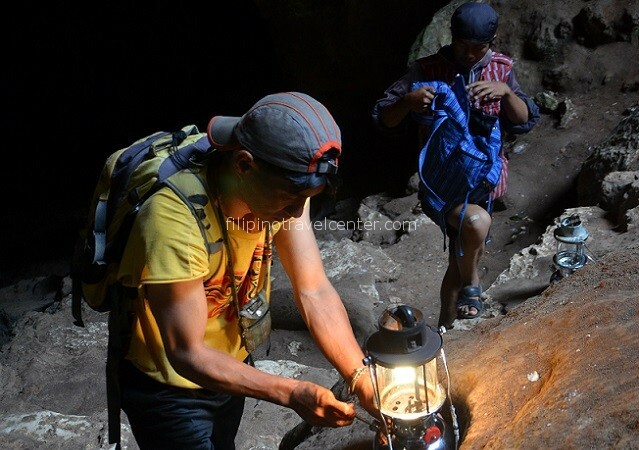 The more you go off the beaten track, the more necessary it is to take additional precautions. Big international hospitals are available in Manila and Cebu. Ladies bring your sanitary supplies as only “napkins” are available locally. More information? Visit http://wwwnc.cdc.gov/travel/destinations/philippines.aspx or The International Society of Travel Medicine’s (http://www.istm.org/) list of of travel clinics worldwide. Negative news abroad impacts on one’s safety perception of the Philippines as a safe country to visit and tour in. Filipino Travel Center, however, wishes to put the tragic, but often isolated, incidents in the correct perspective. 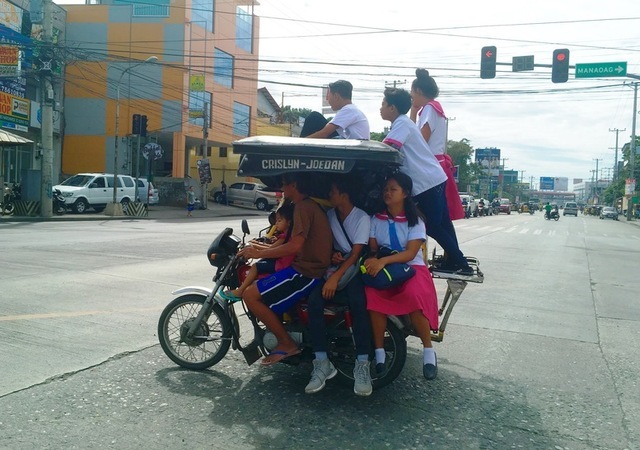 The Philippines is a comparatively safe country in which to travel, live threating incidents rarely occur and the vast majority of its people are welcoming and friendly. There continues, however, to be a risk of politically motivated violence in some parts of the country and for that reason we do not run tours in Mindanao, Sulu Archipelago, Basilan, Lanao del Sur/Norte, North Cotabato, Maquindanao and parts of the Zamboanga Peninsula. As is the case anywhere, most security precautions are basic common sense – avoid drugs, drink responsibly, don’t entertain those asking you to join them in drinking sessions, keep valuables secured in your safety deposit box, avoid isolated areas late at night, especially if alone, beware of petty theft and don’t leave half finished drinks on your table when going to the restroom. Don’t pick up any girls from the street and don’t entertain anyone approaching you in the big cities. If you need a taxi try to flag one down a passing one rather than taking one waiting outside touristy areas who may try and charge an inflated fixed fare. If you do take a taxi from a tourist spot insist that the meter is turned on before departing. On busy, rainy days and or routes with terrible traffic especially in malate, ortigas and makati it will be hard to find a taxi who turns on the meter. Better use Grab a taxi or Uber. 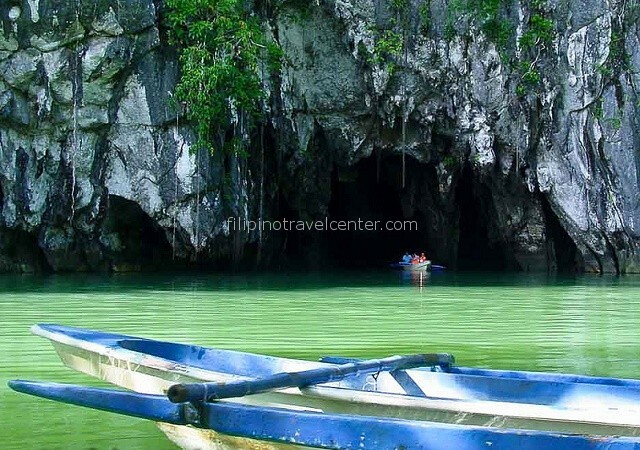 The Philippines has many destinations off the beaten track. Before travelling to them, however, investigate your destination thoroughly and check updated travel advice from your Embassy/Consulate first. 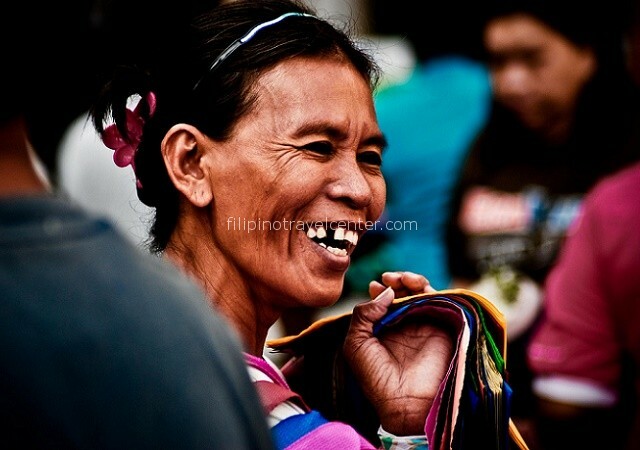 Filipino is the national language with “Tagalog” as the most widely used dialect, although over 175 other ones exist. Non-verbal communication is widely used too – hand gestures and facial movements. English is the second language so English-speaking travellers will be comfortable in most situations. A little goes a long way, however – Filipinos will be pleased (and proud) if you can speak a few words in their language. Be aware of cultural sensitivities – Filipinos are reluctant to say “No” for fear of disappointing you although this can sometimes lead to confusion. Do not argue or criticize and definitely avoid public scenes of frustration/anger. Phone numbers frequently change. Call for directory assistance in Manila 114 or 112 in the provinces. There are 3 major mobile phone providers: Globe,Smart and Suncellular . All are available in cities and major tourist places such as Boracay Island, Mactan Island (Cebu), Puerto Galera (Mindoro Or. 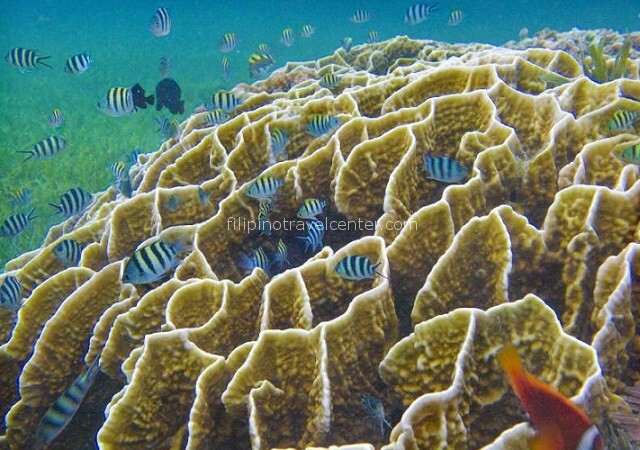 ), Panglao Island (Bohol) and some places in Palawan. Internet cafés are open throughout the country although they tend to have slow connections. Local time is GMT (Greenwich Mean Time) + 8. Filipino dishes are mild. The diet in rural areas is predominantly rice and meat or fish three times a day. Snacks called “Merienda” are consumed between meals. Vegetables are not available in quantity so vegetarians will find travelling in these areas a challenge. Local beer/gin/rum is all cheaply priced. The bigger cities offer a wider variety of international cuisine. Visit the website of the Bureau of Immigration for information about the Philippines entry regulations Further to the Bureau of Immigration’s Memorandum Circular No. RADJR-2013-006 effective August 1, 2013, nationals from 151 countries that have diplomatic relations with The Philippines may enter the Philippines without obtaining a visa in advance. They can remain in the Philippines for a maximum of thirty (30) days, id (i) your passport is valid for at least 6 months beyond your period of stay in The Philippines AND 2) you present a return or outward bound ticket to your country of origin or to a next country of destination. Extensions must be arranged with the Bureau of Immigration. Tourist visa from 30 to 58 days are also available at the Philippine Embassy or Consulate in your country. Chinese nationals, including Hong Kong and Taiwanese citizens, require a special permit. Visit the Bureau of Customs website www.customs.gov.ph for information regarding customs regulations and duty-free allowances. The peso is the Philippines currency, subdivided into 100 centavos. The most recognized foreign currency in the US dollar. There are Foreign Exchange offices at the international airport. Banks are open Monday – Friday 09:00 – 15:00. The major cities have ATMs as well as money changers. Filipino Travel Center only accepts VISA and MASTER cards. Admin fee applies which represents the bank charges. Filipino Travel Center being member of PAYPAL, you could process via PAYPAL. An admin fee is added for products that are not instantly bookable online as PAYPAL deducts a fee from the amount being sent to us. A tip of 5-10% of the bill is accepted practice or just round of your bill. Most restaurants will already charge a ‘service charge” to your bill and a tip beside some small change to round off the bill is not expected if that is the case. Beware of taxi drivers informally adding it to your fare by telling you they have no change! The Philippines standard is 220 volts, 60 Hz. The luxury hotels in Manila and Cebu also have 110 volts. Please pack an adapter for European appliances. Power fluctuations can occur, as can temporary black outs. We recommend you pack a flashlight. Manila has many shopping malls that include all the “high end” stores”. Examples are the Mall of Asia, Ayala Center, SM Megamall, SM Taguig, Shangri-La Plaza and Greenhills Shopping Center. Opening hours are 10:00 – 20:00 and the prices are as advertised. We fully recommend that you obtain general travel insurance before arriving in the Philippines, where liabilities and insurance coverage is very basic.